Dr. Shay received her DMD degree from the Goldman School of Dental Medicine at Boston University, her AEGD Residency certificate from the same school, and is a Fellow of the Academy of General Dentistry. She is board certified in the Commonwealth of Massachusetts as well as the State of California. 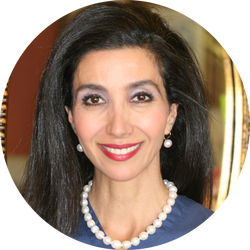 She has completed over 1500 hours of continuing education in aesthetic and restorative dentistry at world renowned centres such as the Las Vegas Institute for Advanced Dental Studies.